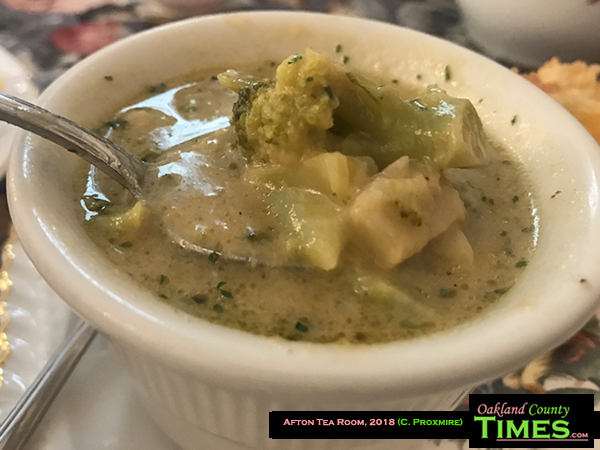 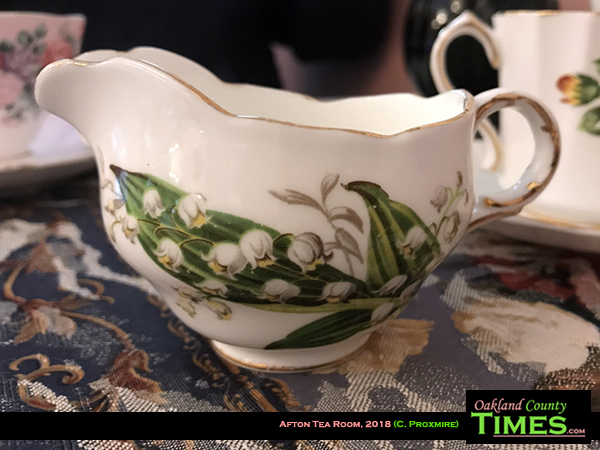 Plymouth, MI – A lovely afternoon was spent with a friend at the Sweet Afton Tea Room in Downtown Plymouth recently. 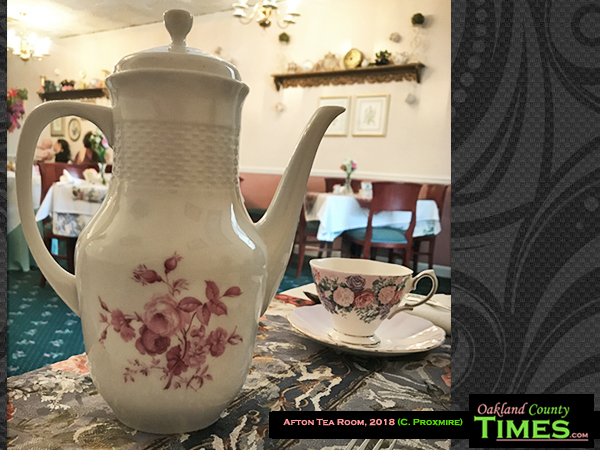 The flowery décor and mixed tea cups gave lots to look at and a warm atmosphere. 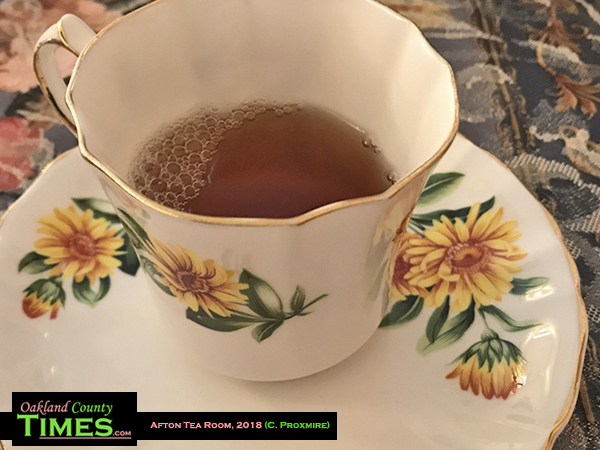 I had a delicious wild strawberry tea, while my dining companion went for a more robust Earl Gray. 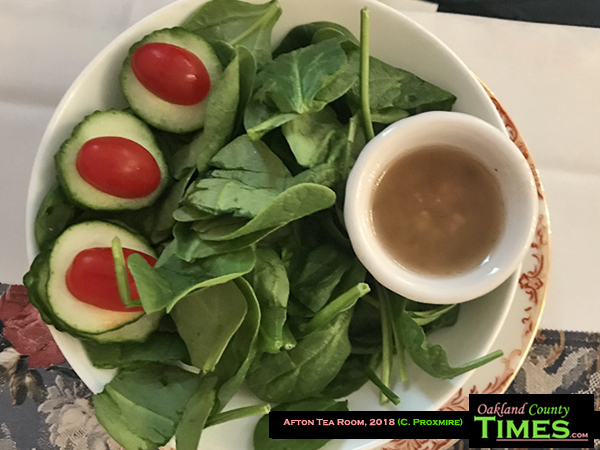 Along with the tea were our meals with fancy names. 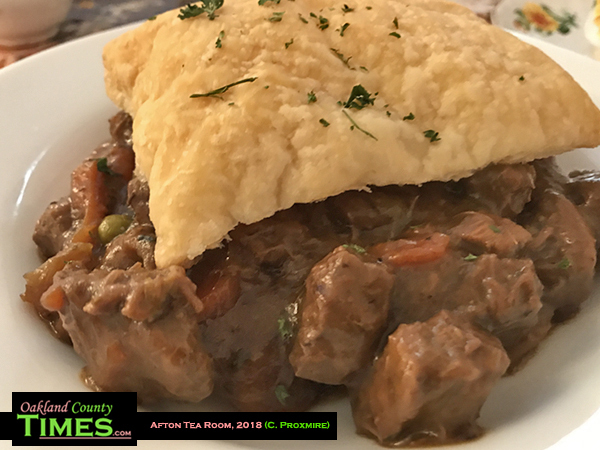 The Wellington is the Afton Tea Room’s take on English Steak Pie, made with sirloin tips and vegetables in gravy topped with a puff pastry. 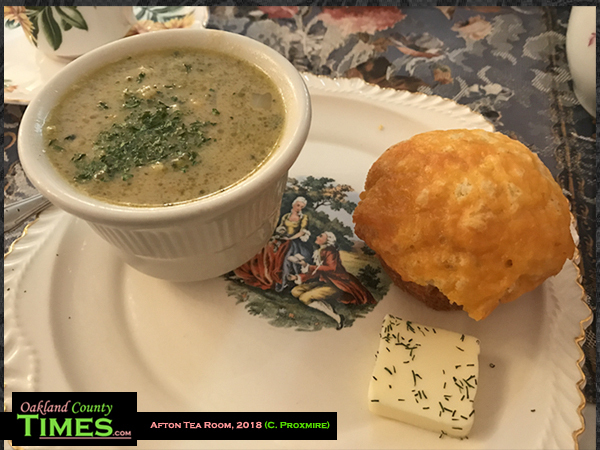 The Robert Burns, named after a Scottish poet, was a combo of quiche served with a warm cheddar muffin and a cup of soup. 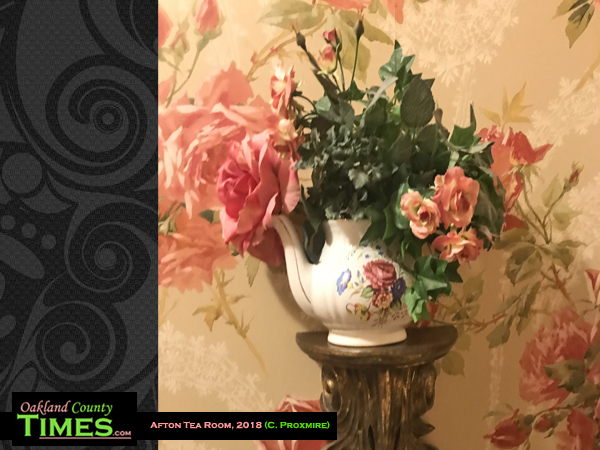 The Sweet Afton Tea Room also has an area with various teas for sale, along with other gifts. 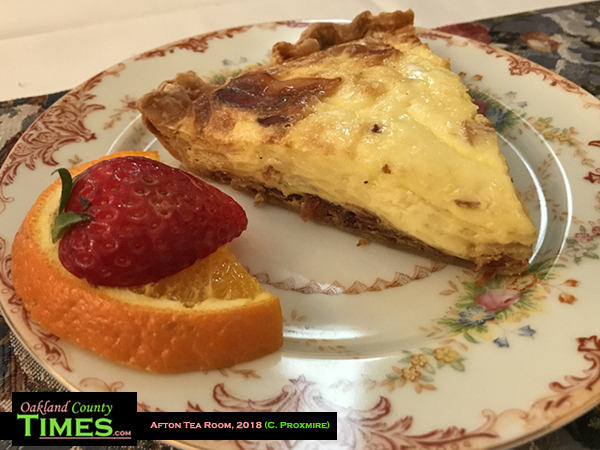 It was indeed a sweet place, and it was fun exploring Downtown Plymouth. 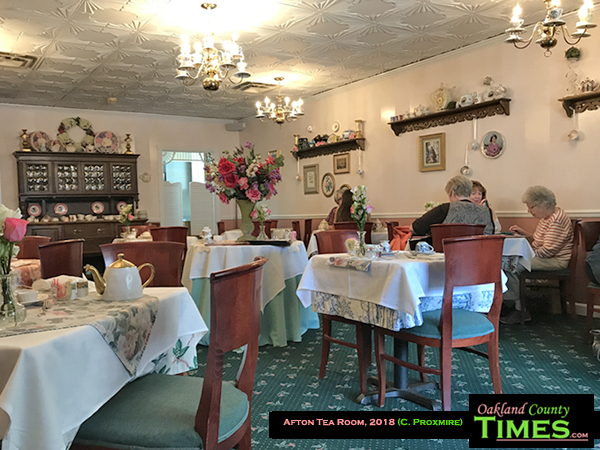 Sweet Afton Tea Room is located at 450 Forest Ave, Plymouth, Michigan 48170.